I watch a lot of shows. A LOT. I have probably talked about this before because it's a pretty basic fact about me. In fact you can view my Sidereel tracker profile right here. To see how many I really do watch. 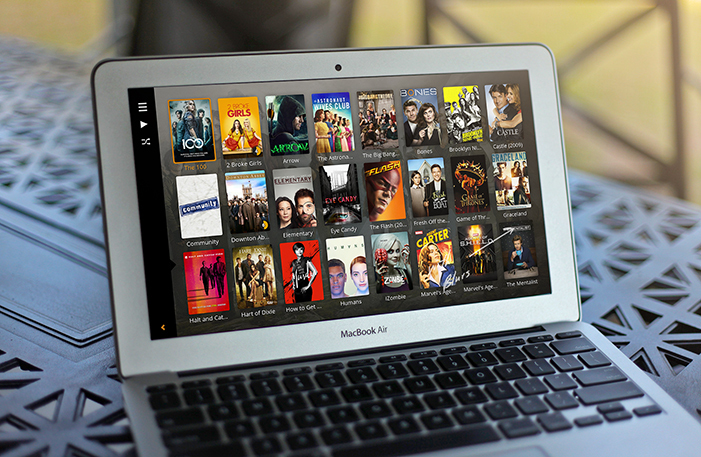 Btw Sidereel is seriously the best TV Show tracker. Tick off your watched shows, get alerted to when new episodes come out. There's an app too! But moving on. Following so many shows, this means I'm only going to focus my time on shows that are actually good. I used to watch a lot of new shows and continue watching them even if I wasn't really into them. But no longer! So here are 5 new shows that I am loving so far and will continue to watch! Netflix recently came to Australia, and while we have next to nothing compared to literally anywhere else that has Netflix, we still get to enjoy their Netflix Original Series. 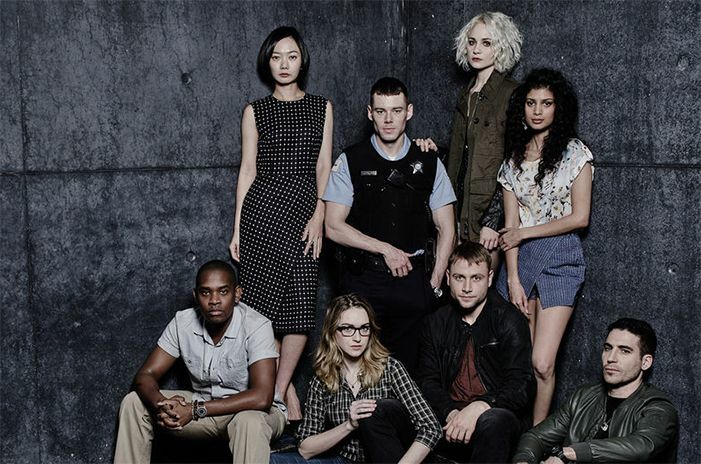 Sense8 is about 8 people, who are Sensates, that live all over the world. They are connected cerebrally and are suddenly able to see and talk to each other as though they were in the same place, and have access to each other's deepest secrets. The show takes a little bit to get the storyline going, but it's the love of the characters that really kept me intrigued. Definitely a show that takes a bit of getting into but I watch it, I seriously love this show. I'm so keen on any new sci fi shows that come out. Humans is kind of like, (have you seen Bicentennial Man?) a parallel universe where the new must have gadget is a "Synth", a creepily lifelike robotic servant. Synths aren't meant to free thinking, they're robots after all. But some aren't so good at following the rules. Only one episode of the show Humans is out so far, but I'm already hooked! The first ep ends on a cliffhanger and I am dying to see what happens next! The name of this show is pretty dumb, you've all got to admit, but iZombie this is one of my favourite new shows. The story follows Liv Moore a modern day zombie, turned against her will at a boat party that went terribly wrong. 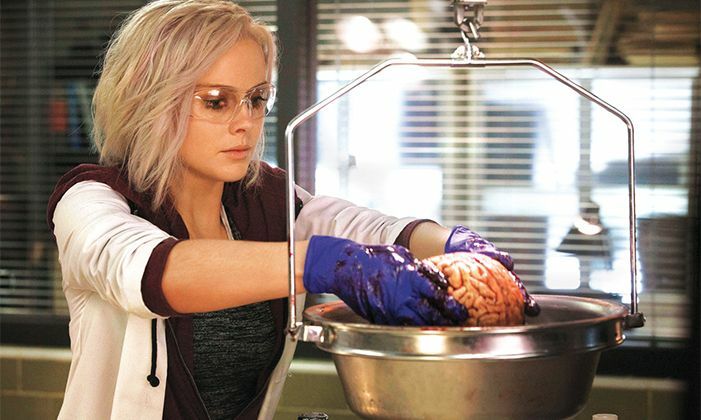 Liv now works in the Morgue where she can safely have access to the brains that she needs to survive. But when she eats the brains she takes on traits of the victims and has visions of the times leading up to their death. Using this she helps the police department solve their murders. All while hiding her true zombie nature. I'm sorry if this description sounds lame, but it's really not! The whole first season is out, so have a look! I'm actually watching this while I write this post. 2 Episodes in and I'm already hooked! I just really want to know what's going on. 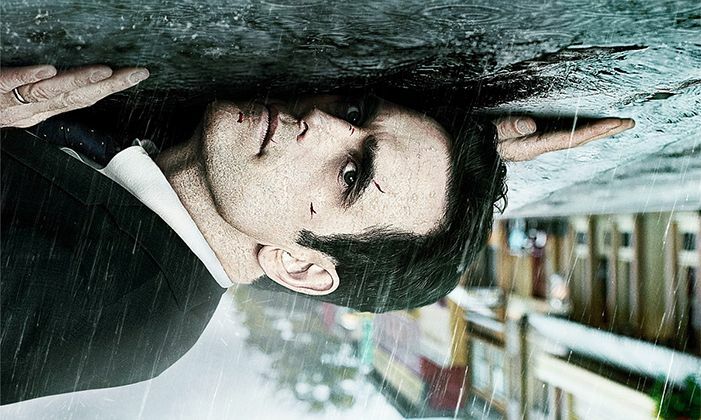 Secret Service Agent Ethan Burke wakes up in the quaint town of Wayward Pines, Iowa. But something is not quite right, everyone is acting strangely, no one is giving any straight answer, oh and also he can't leave. This show is creepy and intriguing and I'm definitely going to keep watching. Imagine some crazy mix between Twins Peaks and maybe The Truman Show... kind of. The first episode only just came out the other day. I was glad to add this to my watchlist as the cast is full of amazing actresses. Including the aussie Yvonne Strahovski who I already loved from Chuck and Dexter. Not to mention her astronaut husband is my fav Wilson Bethel from Hart of Dixie. 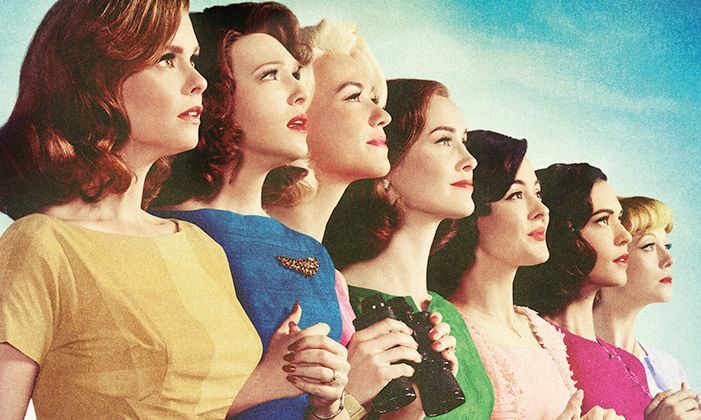 The Astronaut Wives Club follows the lives of 7 women who become American "royalty" in the eyes of the media after their husbands all enter the race to be the first man in space. Have you seen any of these shows? What do you think? What new shows are you loving right now? I would love to know! Sense8 and Humans both sound really good! Great post, I just wanted to start watching Wayward Pines! Netflix is my new favourite thing. I am so glad it came to Australia, although I wish we had access to the American library. iZombie actually sounds really good, and so does Sense8. I watched the first couple of episodes of Sense8, but I need to push myself to watch the rest, as I know I'll like it...but am so picky with shows and trying to get into them! And I REALLY need to watch Humans. I was supposed to shadow someone on that last year when it was being filmed, so want to see what it's like! I really need to watch Sense8! It sounds like a show I could fall in love with, and just fangirl over! My friend recommended it to me, saying it's kind of Marvel-esque. Oh, and I love iZombie! The premise is a little funny, but the execution is perfect! The style, the writing, the actors! Perfect! I highly recommend it! These all sound pretty cool. I can't wait to check out the Australian original series (please tell me they have accents). I've been loving Sherlock (as always), Skins (another throwback) and Puberty Blues. You should definitely check them out! I watch iZombie. I thought it will be a bad show but surprisingly it is interesting, funny, and I'm hooked. All of these shows sound great! I've never heard of Sidereel. I watch heaps of tv shows and am constantly making lists of new shows to watch so this sounds like an awesome way to keep on top of what I'm watching. All these shows sound great! I'm always looking for a new tv show to watch and I haven't heard of any of these. I have seen any of these, but they all sound terribly interesting,especially that sf show! I was looking for a new TV show, thank you for this post! I watched the first episode of Sense8 but it's not really my cup of tea. Maybe some of the other shows are! Grace & Frankie is also very funny! iZombie actually sounds really interesting! I tried to watch Humans but really couldn't get into it. I really wish I could! Totally wanna watch some of these! I've watched the first 2 episodes of Humans and it's so good so far (need to catch up though), I also have sense 8 on my watchlist. I love Humans, its currently on episode 4 here in the uk and its amazing =] I wish we had iZombie here too.